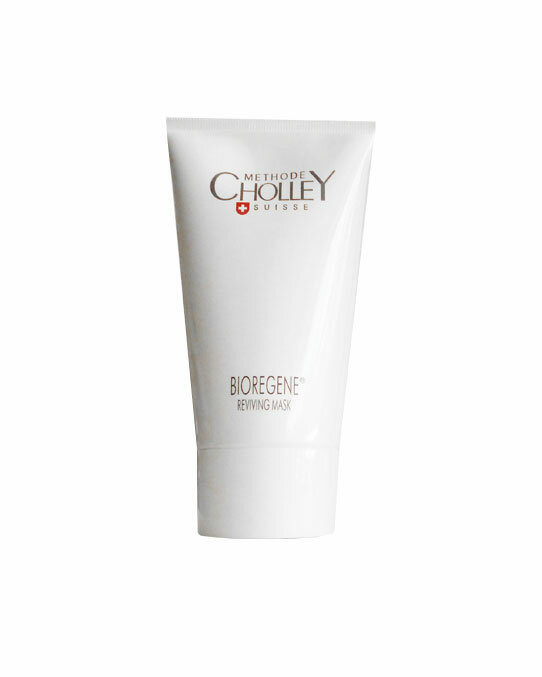 BIOREGENE Reviving Mask is a deeply emollient mask that employs the intense hydrating power of Alpha – Hydroxy Acids to renew the vitality, flexibility, and firmness of the skin. It is especially formulated to revitalize dull, flaccid, and dehydrated skins. In addition, it imparts a brighter and more harmonious appearance to the epidermis, which makes age spots and uneven dark patches less visible. BIOREGENE Reviving Mask is a splendid product for many skin types ranging from mixed to dehydrated. It is particularly well suited to the needs of limp and poorly oxygenated (asphyxiated) skins, which appear opaque and dull with a coarse greyish appearance due to the build-up of dead cells in the horny layer. For all skin types, especially recommended for dry and dehydrated skins.